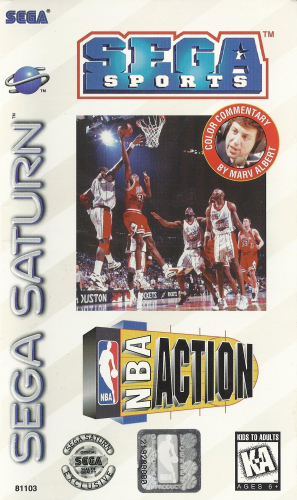 Pulse-pounding, rim-rattling action comes to the Saturn with NBA ACTION. All 29 NBA teams and more than 400 NBA players have been included. Use the in-depth offensive and defensive playbooks to gain an advantage over your opponents. You won’t miss a single pass, lay-up, or dunk thanks to a variety of camera angles. See how well your players stack-up against the rest of the league with season stat-tracking. If you have a large group of friends, use a six-player adapter and up to 10 people can play at one time. Put yourself into the middle of the NBA with NBA ACTION.